Join us for an exciting multidisciplinary performance celebrating Latinx culture by the students at the Baltimore School for the Arts! Jazz pianist Cesar Orozco has created an exciting set of music for strings and big band using rhythms and forms from Cuba and Venezuela. Award-winning dance artist Stephanie Martinez's work Destino Roto (Broken Destiny) will focus on women's strengths as she draws from her Mexican and Spanish heritage. 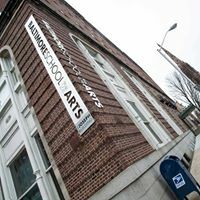 Please note that on Saturday, March 30, from 10 am to 2 pm, there will also be a LatinX market at the Baltimore School for the Arts directly proceeding the afternoon performance.